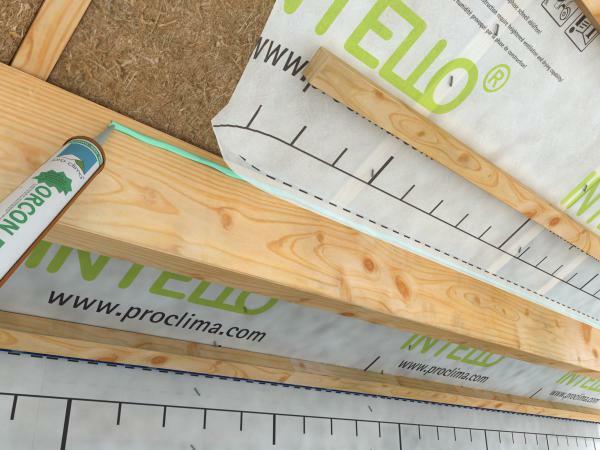 ** Ecological Building Systems are delighted to announce pro clima sets new standards with Passivhaus Approval for INTELLO Intelligent Airtightness System. pro clima Intello Plus Intelligent airtight vapour check features humidity variable diffusion resistant. It gives maximum protection to thermal insulation where moisture entry may have occurred. This may be through leaks, damp installed building materials or diffusion through adjoining structural surfaces. Intello Plus features the world's best and most effective variable diffusion resistance. 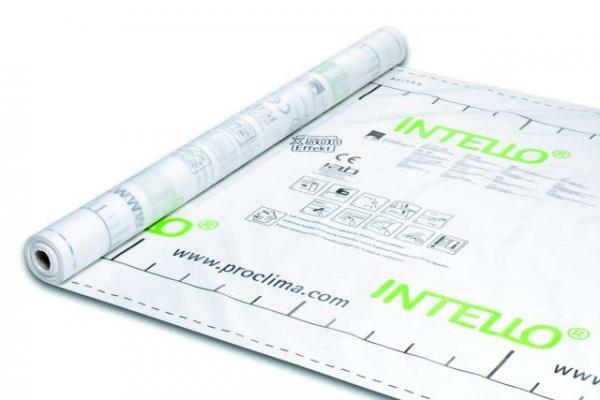 This ensures optimum protection for all fibrous insulating materials in all constructions, whether they are vapour diffusion-permeable or vapour diffusion resistance externally such as pitched roofs with bitumen sheeting or metal sheet roofing, flat roofs and walls with a diffusion resistant exterior cladding. 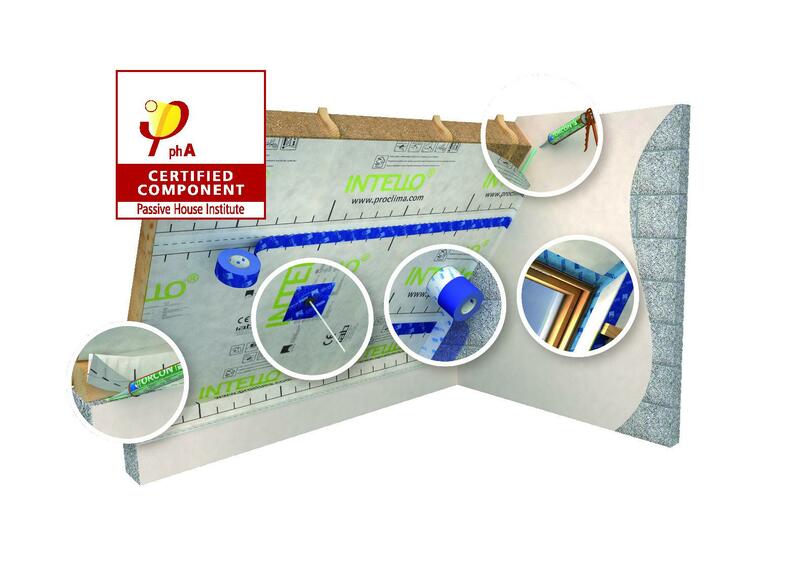 Provides optimum protection for all thermal insulation systems in roofs, walls and floors. Offers high diffusion tightness in winter and maximum diffusion openness in summer. In winter, its high diffusion resistance provides ideal protection for the building's structure against condensation. In summer, its low diffusion resistance facilitates rapid drying. It is translucent, easy to install, fully recyclable. It offers the ideal solution to structures that are difficult to protect against condensation e.g. flat roofs, flexible metal sheeting, etc. 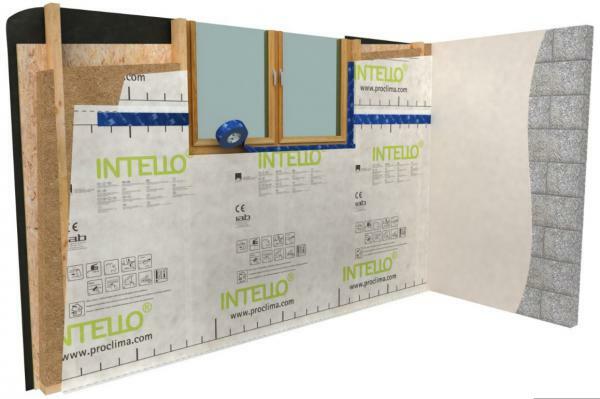 Intello Plus provides lasting protection against mould growth, thereby protecting the health of the occupants and ensuring structural durability. Meets with the durability requirements of EN 13984. Has a very high nail tear resistance due to reinforcing layer. 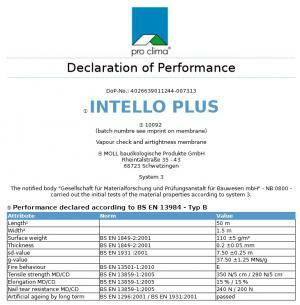 I am interested in find out more about the product "pro clima Intello Plus", could you please contact me.